Step up to the next level of performance with the O'Brien Ricochet 5150 Kneeboard. It's designed to give intermediate riders a place to develop their skills while adapting to the different ride characteristics of a fiberglass board. The twin tip design makes switch landings a bit easier to handle, and thanks to the V-Hull design you'll get smooth landings when you come back down. But what really makes it special is the Variable Edge Bevels which give you tuned performance in key areas of the board. "What are the dimensions of the board?" "Thank you for inquiring. The Length is 51.5" & Width 22.3". We hope this information helps. " "What is the weight of the board? " 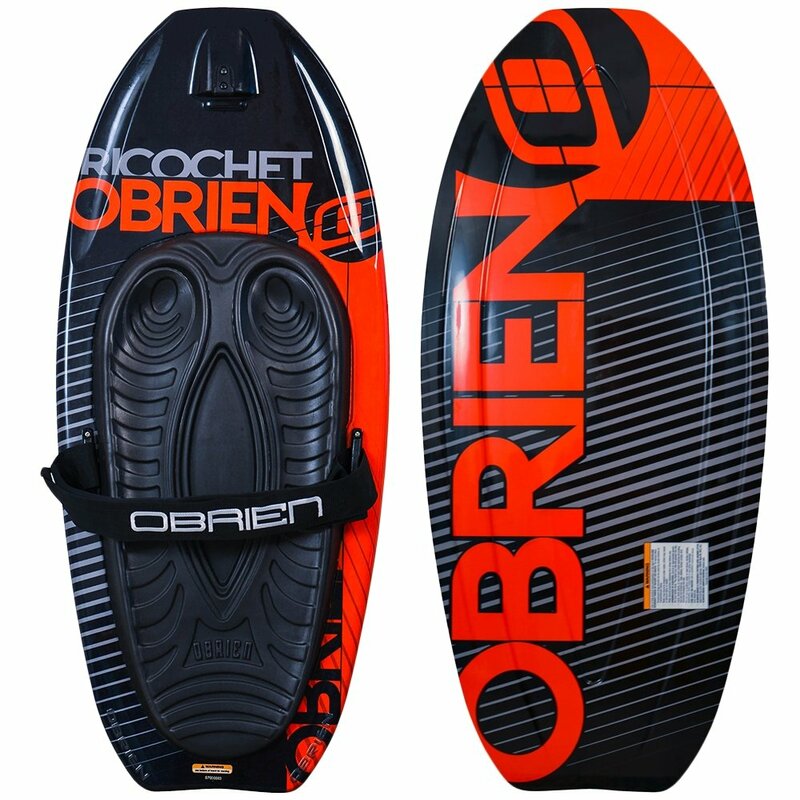 "The O'Brien Ricochet 5150 Kneeboard weighs approximately 12lbs. We hops this information helps. "